Numerous amino acids have important roles in proper immune function, but methionine, arginine, and glutamine seem to be the ones that are required in the greatest quantities during an immune response. Methionine is the first limiting amino acid in most poultry diets and is the second or third limiting amino acid in barley and wheat-based swine diets, making it a primary concern for marginal deficiency. Chicks may require a greater quantity of methionine to maximize humoral and cell-mediated immunity, but the idea that animals may require methionine for immune function at levels above those that support maximal growth is not entirely agreed upon. Arginine is considered a semiessential amino acid for humans and other mammals because it is synthesized from other amino acids via the urea cycle. 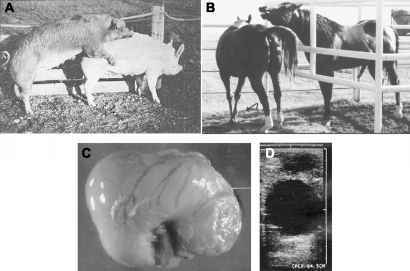 However, exogenous arginine is required for growth in young animals and in various stress situations (e.g., sepsis, trauma) to optimize growth and minimize nitrogen excretion. Arginine is a direct precursor of nitric oxide (NO), a potent cytotoxic agent produced by macrophages and neutrophils to kill bacteria. Fig. 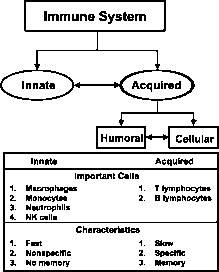 1 The immune system can be partitioned into two separate but interacting components that which provides innate immu nity and that which provides acquired immunity. Both innate and acquired immunity can be modulated by nutrition. 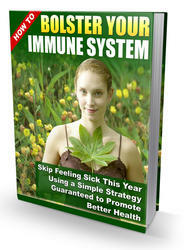 in times of immune system activation. Glutamine is essential for the normal functioning of macrophages and lymphocytes during an immune response. The requirement for glutamine in these cells is due to the increased metabolic activity following stimulation by an infectious pathogen. Accelerated metabolism is necessary to facilitate cell division and the secretion of antibodies and cytokines all processes that require amino acids and energy. Glutamine is a primary carrier of nitrogen in the blood, and its concentration is generally maintained within a relatively small range. However, during catabolic states like sepsis, there is an increased demand for glutamine as a substrate for cells of the immune system.